Wasp Solitaire is a card game similar to Spider Solitaire, but much more difficult. This version, having 2 suits, in no exception, and it much more difficult than the traditional 1-suited wasp solitaire. 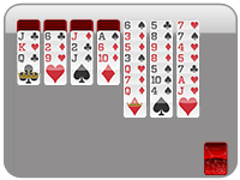 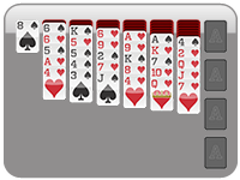 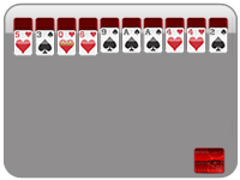 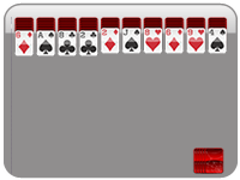 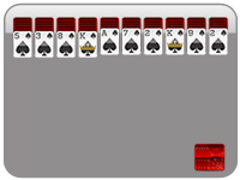 Unlike Spider Solitaire, however, there is no penalty for creating stacks of cards using multiple suits. 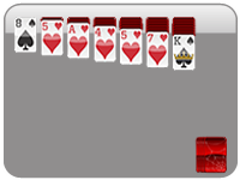 If, for example, you put a 3 of clubs on top of a 4 of diamonds, you can still move the 4. Use this to your advantage...you're gunne need it! don't be afraid to stack cards of different colors--unlike the card game spider solitaire, there's no penalty!